Spring is finally here, although it seems someone in the East Coast just got the memo! This April we also celebrate our 1 year anniversary of launching the Catchpoint Web Performance Monitoring suite. We have had a busy year building solutions to help client with monitoring and optimizing internet based services to provide best user experience. Our system grew from running daily 50,000 web performance tests to more than 3 million tests monitoring Web, DNS, FTP, TCP, and Selenium scripts. To celebrate Catchpoint’s anniversary, we rolled out a major release, code named “Leo”. The release includes upgrades to key applications of Catchpoint system, which speed up our performance and also allow us to build new innovative solutions in the coming months. Our goal at Catchpoint is not to just build a better tool, it is to empower our customers, in providing fast and reliable applications! Our success has been dependent on their feedback and listening to their challenges, without this dialogue we would be just another monitoring tool. 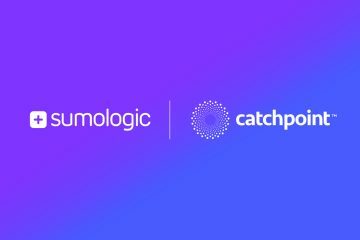 Thank you to all of our 40+ customers for helping make Catchpoint what it is today. We look forward to another great year. Statistical Charts – support for additional metrics, 16 metrics for web tests, and ability to customize which statistical values to chart (Median, 95th, 85th…). Scatterplot Charts – support more metrics, 23 metrics for web tests. Data and Alerts APIs: We understand that companies rely on multiple monitoring tools, commercial and in-house, to monitor their applications and services. Integrating the data collected from all these tools into a single dashboard is key to their success, and it is possible only through APIs. We have listened to our customer needs and are announcing the launch of our APIs in a limited production. We are introducing a first in the industry, a Real Time Push API which provides you with data directly from our nodes – the moment the test completes its run. This provides with the fastest way to integrate our data into our customers’ systems in order to accelerate problem resolution. In addition to our Data API, we are launching our Alerts API, which will push alerts and their associated data directly to internal systems. The alerts data includes the same data present in the alerts emails, including debugging information like traceroute, and information collected on each node that triggered the alert. The release also included several small enhancements, usability updates, and bug fixes. Stay tuned for more exciting features for web performance monitoring!